India is overwhelming at every level to the first timer. The hustle and bustle, the constant cacophony of car horns, beggars, markets, lack of sewage all hit you as you first step out of the airport. India is an experience that hits every sense and is not one for the faint hearted. As you can imagine a country of 1.2 billion has everything that you can imagine in the world, the good and the bad. Let’s start with the bad, the poverty, and the inequality. It’s in your face. Every piece of land is covered with sleeping bodies; the street is home to an unimaginably large amount of Indians. Naked kids pull at your shorts and if they get no reward they come back holding a baby. Seeing kids of this age brought up in such a hostile environment is truly eye opening. It opens you up to the conditions in which a disturbingly high proportion of the world population lives. Despite the obvious inequality, India seems to work. Wherever you are, someone will turn up and help you out. One day in the week while I was interning with Joining Hands a small social development organisation it was Krishna’s birthday, giving us all the day off work. A few of us decided late that we would go to Birla Mandir, a local Hindu temple where large celebrations were taking place. Having chosen to walk there (fully cladded in Indian dress) we got lost and frustrated having managed to elude the largest gathering of people we would see in India. That’s when we met a local boy of 17 who had just come from the celebrations and walked us for over half an hour back where he had just came so we could find the temple. Acts of kindness like this were a regular occurrence and helped restore your faith in humanity in the face of such poverty. One of the main reasons I was attracted to India was its deep spirituality. India is a kaleidoscope of different faiths intertwined with modernity. There is no dichotomy between faith and science as there is in the West, nor no uneasy relationship between politics and religion. Faith is woven into the fabric of India and it seamlessly floats through all aspects of everyday life. 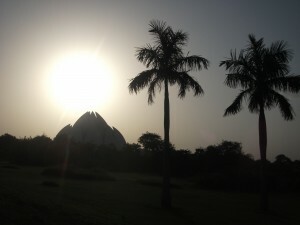 It was this aspect of India that I was most excited to explore, that which is most distant to life in the UK. During my time in India I learnt a wealth of information about India’s different faiths and visited Islamic mosques, Hindu temples, Sikth Gudwaras and a Bihai’h house of worship. Chandi Chowk a road in Old Delhi is home to a mosque, Jaine, Hindu, Sikth and Christian places of worship all being lined up together, being testament to the diversity and acceptance of faith in India. In many local mosques you will find just as many Hindus as Muslims present further demonstrating this acceptance. The Baha’i’ faith and it’s lotus temple sum up the inclusion and acceptance of other faiths in India. Baha’i houses of worship are open to all faiths and there prayer services include all of the major faiths citing passages from the Torah, Bible and Koran etc. The place of worship while stunning from the outside was very different to other places of worship I had visited within. While most temples are filled with golden statues and amazing tapestries and carvings, the Baha’i temple was empty and understated. The lack of statues and the like which often leave you overwhelmed instead lead to a deep sense of introspection. The place was beautifully calm, just a few potted plants amidst a beautiful garden. In this case less definitely was more, and I felt an amazing buzz after leaving the place, which amazingly had been left open just for us. It’s strange for me because growing up in a society largely based on Christian values I have always felt alienated by Christianity. Yet I felt openness to the faiths of India. 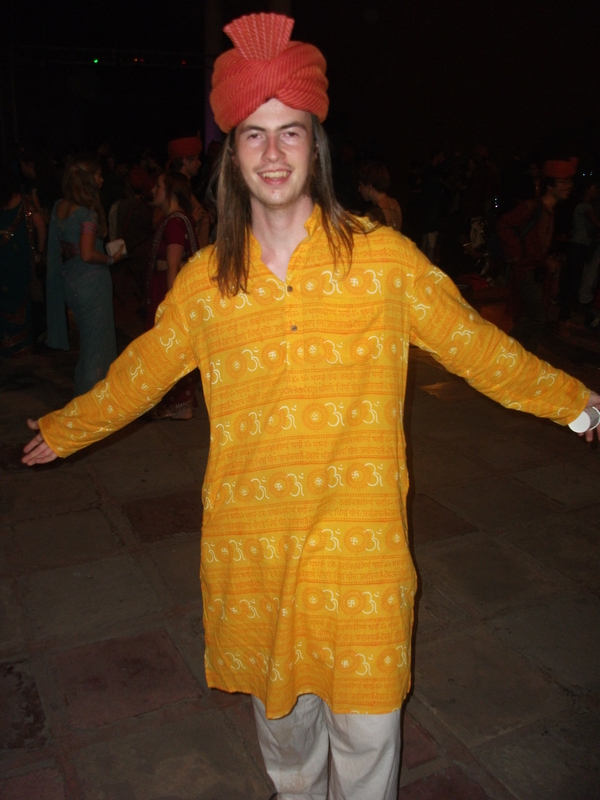 My aim was to see what I could take from India back with me, so what have I taken away? I have taken back an appreciation of all faiths and a willingness to explore them further. While still a sceptic at heart I have taken away an appreciation of difference and an intense curiosity of the humanity that surrounds me. My desire to visit India was part of a broader personal journey. I wanted to discover the rich diversity India has to offer and to explore the deep spirituality of India and see what aspects I could take back to my life in the UK. I'm looking to work in the not-for-profit sector as a social researcher. The Study India programme therefore massively appealed to me as it gave me the opportunity to work for a social development organisation in New Delhi. Packing, packing and more packing!